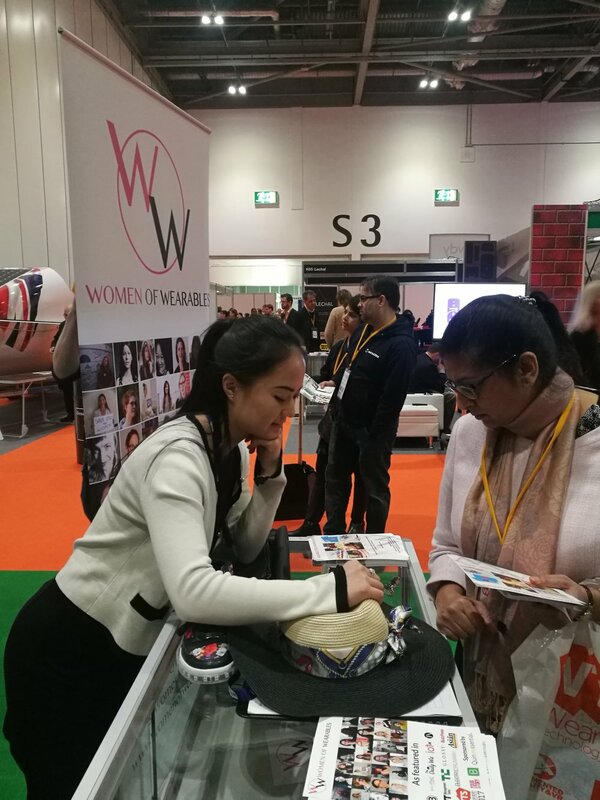 After Women of Wearables was born at the Wearable Tech Show in London in 2016, it was perfect timing to celebrate our one year anniversary by partnering with the Wearable Tech Show 2017 in London Excel this year! 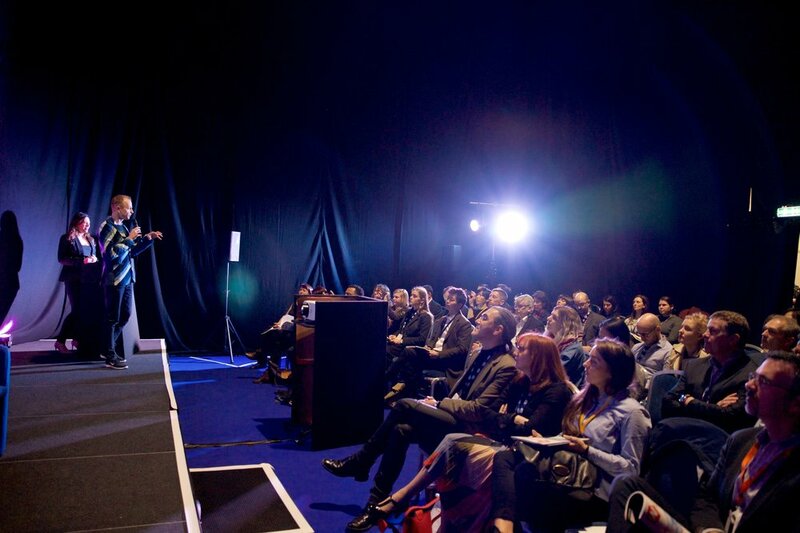 Over 7-8 March 2017, the Wearable Tech Show greeted 5,035 visitors, 109 exhibitors from over 20 countries on the show floor and 234 speakers over 100 sessions in the conference programme. 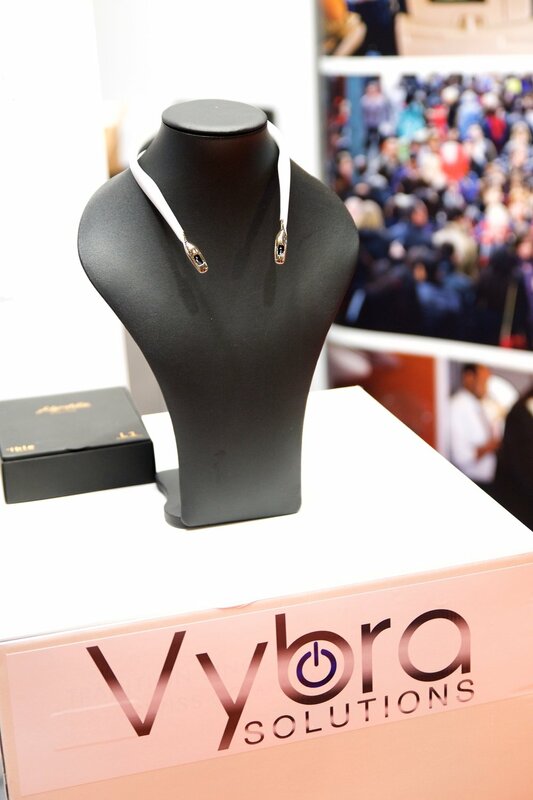 Women of Wearables were proud to exhibit in the Launchpad along with other start ups to showcase our organisation that aims to inspire, connect and support women in wearable tech, fashion tech, IoT, AR and VR. We also exhibited our wearable tech projects where we deliver workshops to show girls and women how they can create their own wearable tech. On day 1 we hosted a panel titled “Women of Wearables Building the Future of Wearable Tech”. It was packed with standing room only when our WoW women, Colleen Wong, Pauline Issard and Elin Haf Davies took to the stage and spoke about their Gator Watch, a mobile phone tracker for kids, Trackener a wearable for horses and Aparito, a wearable to measure data to detect diseases. All were refreshing wearable devices that didn’t involve a smart watch or a fitness tracker, but ones that actually solves everyday problems. On the exhibition floor, we met with many inspiring WoW women including Kathy Roma, co-founder of Nimb, a crime survivor who designed a safety ring that allows you to alert people when you are in danger. Our partners Octagon Studio from Indonesia also exhibited their educational AR cards and books which introduces AR to kids aged 7-11 to the world of Augmented Reality. Day 2 of the Wearable Technology Show fell on International Women’s Day and an impromptu celebration of #BeBoldForChange called for whisky tasting at the Infi-tex stand where our WoW woman, Myra Waiman, co-founder of Infi-tex sponsored the event. In 15 minutes we gathered all the women from the Wearable Tech Show to celebrate their hard work, achievements, international knowledge and experience of being in this male dominated industry and enjoyed networking with each other. For once and just for a brief moment, it seemed that there were more women than men at a tech conference! While the 2 days felt like a blur of activity, we met our international industry colleagues and listened to interesting panel discussions including Tom Emrich, Founder of We Are Wearables from Toronto Canada, Nadia Kang CMO of AIQ from Taiwan and Elena Corchero, Director of Design Research from London discussing textiles, fashion and the future of wearables. Our favourite was Cute Circuit, a London based wearable tech company co-founded by Ryan Genz and Francesca Rosella. An amazing team who are at the forefront of wearable tech innovation by dressing many celebrities with their high tech dresses showcased their latest invention: the Little Black Graphene dress. Graphene was first discovered in Manchester by Nobel prize winners and with its many electrical properties, graphene can conduct electricity and is transparent. Cute Circuit’s dress detects a person’s breath and changes colour depending on how fast or slow the person breathes. Francesa says “this dress is a glimpse of what graphene can do. If you have a material that is transparent, can conduct electricity, is very lightweight and can be used as a sensor - you can create clothing for sportswear use and even everyday clothing, but with a hi-tech twist”. There were more than 50 new products launched to over 100 journalists with coverage featuring on BBC News, Click, Sky’s Swipe, BBC Newsround, ITN Middle East, China Central and in Forbes and Design Week as well as many technology outlets. Anyone who said wearables and smart technology were a flash in the pan couldn’t be more wrong – to grow to over 5,000 visitors from a standing market and in a brand new market in just four years is testament to that and an achievement we’re all very proud of. 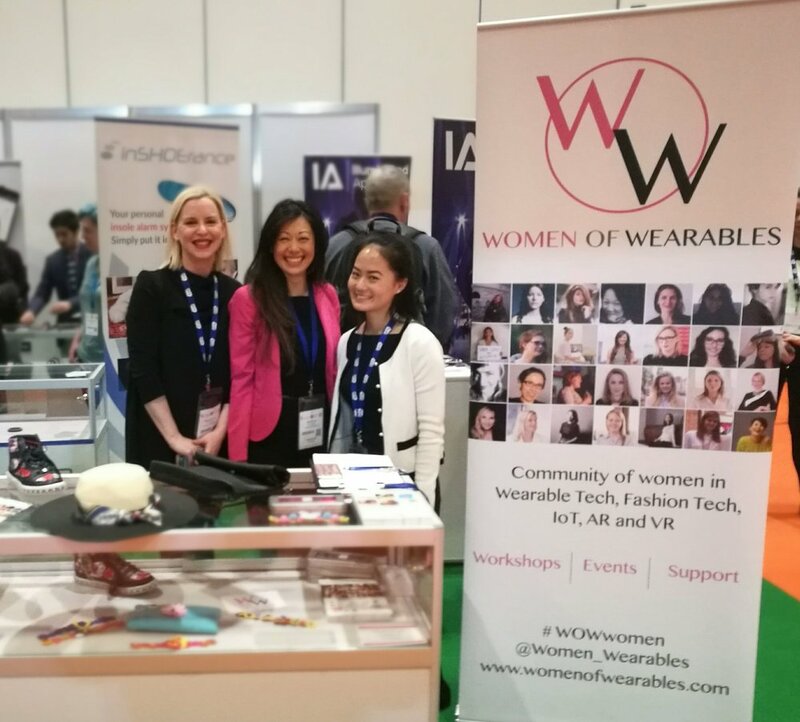 Women of Wearables were so pleased to be involved with the Wearable Tech Show 2017 because we were able to represent women in our industry and received great feedback from the attendees. Our community also came to visit us and it was fantastic to receive their support in our mission to close the gender gap, bring women to the forefront of building wearable technology products all while being female friendly. Our sponsors Quinteassential provided us with premium luxury tea with a tech twist to give away to our supporters. 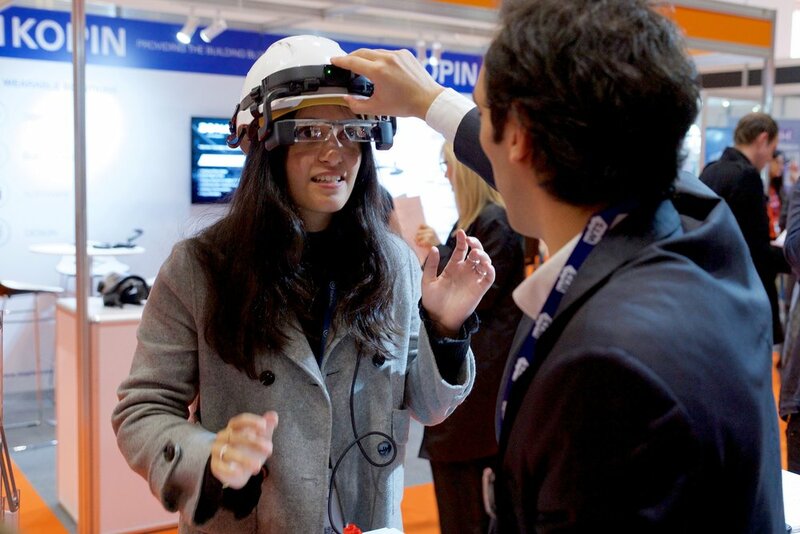 We look forward to seeing an increase in women in wearables attending, exhibiting, speaking and creating more products next year! In the meantime, watch our videos of our panel and of our WoW women being interviewed at the Wearable Tech Show 2017.